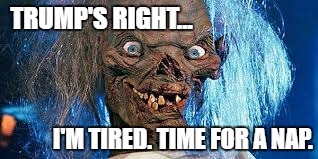 TRUMP'S RIGHT... I'M TIRED. TIME FOR A NAP.